Alajuela is a province of Costa Rica. It is located in the north-central part of the country, bordering Nicaragua to the north. It also borders the provinces of Heredia to the east, San Jose to the south, Puntarenas to the southwest and Guanacaste to the west. As of 2011, the province had a population of 885,571. Alajuela is composed of 15 cantons, which are divided into 111 districts. It covers an area of 9,757.53 square kilometers. The provincial capital is the municipality of Alajuela. Other large cities include Ciudad Quesada, Naranjo, Zarcero, Orotina, Sarchi, Upala, San Ramon, Grecia and Los Chiles. Costa Rica has been inhabited for nearly 10,000 years, but little is known of its pre-Columbian history. Alajuela was occupied by several indigenous groups just before the arrival of the Spanish. Despite being between two major civilizations, indigenous groups sparsely populated the area. The Hueteres lived in the south of the territory, while the Botos, Guatusos, Tices and Catapas lived in the north. In the fifteenth century, most of the region of modern Alajuela was under the control of Garabito, an indigenous leader of whom little is known. Only the Botos, who lived in Alajuelas northern plains, resisted conquest until the early 1800s. Starting in the 16th century, Spanish conquistadors arrived in the Central Valley from Guanacaste. The natives who survived epidemics and conquest were placed in the encomienda system of labor, which exploited natives and funneled money to the Spanish crown. In 1574, the first reservation for natives was created at Santa Catalina, which today is the Canton of Mateo. The province is located in the North Central Plains and borders Nicaragua (Departamento de Rivas, Departamento del Rio San Juan) to the north and the Costa Rican provinces of Heredia to the east, San Jose to the south, and Guanacaste to the west. Alajuelas San Carlos (canton) is larger than the provinces of Heredia and Cartago. It is the largest canton in Costa Rica, taking up 34.32% of the provincial territory and 6.55% of the national territory. The base of the Alajuelas economy remains agricultural production. In the southern highlands of the province, tropical ornamentals, coffee, tubers, and green vegetables are the major crops. Toward the north and northeast, rice, corn, pineapple, bananas, and sugarcane are important crops. Alajuela ranks first nationwide in national coffee production and national sugar cane production. Many of the agricultural products are exported overseas. Alajuela takes a central place in Costa Ricas literary tradition, evidenced by the numerous authors raised in the country and commitment to public libraries. There are 14 public libraries Alajuela, more than any other province in the country. The University of Costa Rica maintains childrens literature outreach centers primarily in Alajuela, in Grecia, San Ramon, Naranjo, Palmares and Zarcero. 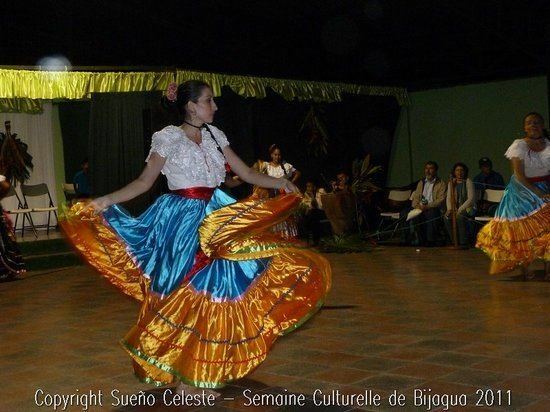 The municipality of Alajuela frequent holds storytelling contests and festivals, as well. Because of its rich literary tradition, San Ramon is often called "la tierra de las poetas" ("land of poets"). Many poets and authors were born in the San Ramon area, including Jose Joaquin Salas Perez, Carlomagno Araya, Ema Gamboa, and Feliz Angel Salas. San Ramons favorite son is often listed as Lisimaco Chavarria. Born in 1878, Chavarrias romantic and naturalist poetry brought him into correspondence with many well-known Latin American authors, such as Ruben Dario, Jose Enrique Rodo and Joaquin Garcia Monge. Born in 1915, author and naturalist illustrator Rafael Lucas Rodriguez was a pioneering biologist in the country. He wrote numerous articles and books, as well as illustrative tracts of Costa Rican flora. Author Fernando Contreras Castro, also born and raised in San Ramon, is an internationally recognized author writing in what is described as the "urban generation" style. 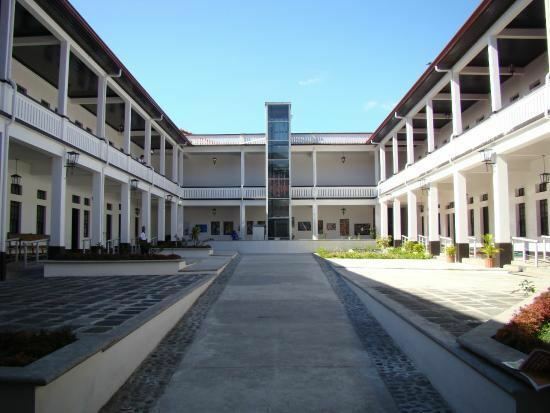 Contreras teaches literature at the University of Costa Rica. Social realist Fabian Dobles grew up in Atenas. Dobles work concentrates on the plight of the poor in Costa Rica. Dobles, a member of the Popular Vanguard Party, later spent time in prison for his political beliefs. Author Carlos Luis Fallas was born and educated in Alajuela. Fallas most well-known work, "Mamita Yunai," was based on his time working on a banana plantation. Historian and journalist Angela Ulibarri lives in Ciudad Quesada. Contemporary playwright Jorge Arroyo also grew up in Alajuela. His work has been staged in half-a-dozen countries.